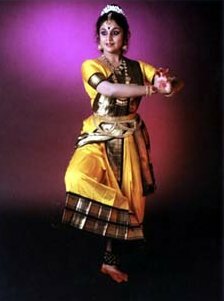 Though Chitra Visweswaran's formal training in dance began with Western Classical Ballet in London at the age of five, her first Guru, at the age of three, was actually her mother Rukmini Padmanabhan, who was a dancer trained in the Uday Shankar School of dance and Bharatanatyam. It is to her that Chitra owes her artistic and creative vision. To this was harnessed an insatiable intellectual and cerebral quest which she owes to her father, N Padmanabhan, a brilliant engineer. After initiation into dance by her mother, Chitra undertook training in Western Classical Ballet in London, which was followed by training in Manipuri and Kathak in Kolkata. At the age of ten, she went under the tutelage of one of the best devadasis of Tiruvidaimardur, TA Rajalakshmi, who was settled in Kolkata. Her arangetram took place in ten months, an astonishingly short period to achieve the degree of proficiency that Chitra did. She continued her Bharatanatyam training in Kolkata and in parallel, studied the Uday Shankar School of dance. Not confining herself to the physical aspect of dancing alone, Chitra, taking full advantage of the frequent closures of Calcutta University studied dance theory, dance history, philosophy and world religion entirely on her own and subsequently became deeply involved in interdisciplinary search and research. In 1970, on completion of BA (Hons.) in English from Calcutta University, she received the National Scholarship for advanced study in Bharatanatyam from the Government of India, at a time when only two scholarships were awarded throughout the country. She spent her scholarship period of four years under the doyen of Bharatanatyam, Vazhuvoor Ramiah Pillai, at Chennai. This widened her aesthetic vision even as her earlier Gurus’ training gave her excellent grammar and technique. On completion of her scholarship, Chitra started working on her own, bringing together the gift from her Gurus and her knowledge of the cognate forms of arts. 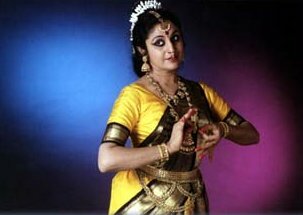 Her vision of dance in totality and her (late) husband's vision of music ensured a continuum through Chidambaram Academy of Performing Arts, established by the couple at Chennai in 1975. Having grown up in Kolkata and London, what were your impressions of Chennai when you first starting learning with the great Vazhuvoor Ramiah Pillai? How has Chennai's art scene evolved since then? The Chennai of 1970 was very different from the Chennai of today. For someone who was brought up in Kolkata and London, it appeared to be very conservative and stultifying in the beginning. But I came to realise that when convinced of quality in matter and presentation, Chennaites were, and continue to be, a discerning and accepting audience. How else would they have accepted the path-breaking work of Rukmini Devi Arundale and Vazhuvoor Ramiah Pillai!?! Or, for that matter, the meaningful contribution of dancers of our generation. Over the years, Chennai has opened up to all styles of dance, music, and now, theatre. Today we have an audience for all genres, even the contemporary. As in every other city, Chennai has its conservative and non-conservative audiences, and each man to his own taste that is entirely the prerogative of the viewer. Over the years, you have choreographed numerous group and solo productions that are both thematically and musically innovative. Was it challenging to create such works while keeping to the traditional aesthetic of Bharatanatyam? What should young dancers keep in mind if they decide to work with different styles of music and/or dance? Yes, it has not been easy especially while giving contemporary interpretations to accepted notions. It called for a great deal of internalisation, introspection, searching, research, soul-searching, et al. Have total conviction in what you do. How else can you convince the audience? Never do something just because it is the done thing. Do not necessarily follow the herd. Above all, enrich yourself to become a complete artiste with a sense of values and aesthetic vision which will always guide you. Recently, dance has become increasingly important in scientific research and medicine. In particular, dance has been used to treat some motor and cognitive disorders. What are your thoughts on dance therapy in Chennai? Is dance therapy another avenue which young dancers should consider exploring? I have lived with a special child since age 5. My brother, Arun, was born normally but lost his speech due to an attack of encephalitis at age 3. Mental retardation set in. In 1956, when this happened, there was no methodology involving dance, music, or theatre for the rehabilitation of the specially challenged – in fact, several aspects of the conditions relating to the subject were comparatively unknown. So rehabilitation at that early stage was not possible for Arun. Fortunately RASA, a centre employing theatre arts and crafts for rehabilitating children and adults with special needs, is an institution run by Dr Ambika Kameshwar that came into our lives, and Arun has now been rehabilitated to a considerable extent. We, as mainstream performers, sometimes do not realise to what a helpful extent communicative skills, motor skills, and comprehension skills can be developed by employing the 'methodology of theatre for holistic development' in challenged people. There are now several excellent institutions in Chennai and elsewhere giving a new lease on life to the specially challenged through music, dance, theatre, and craft. It was this personal experience with my brother that made me include this subject in Sri Krishna Gana Sabha's Natya Kala Conference, entitled 'Dance – An Interdisciplinary Activity,' convened by me in 1996 -1997. Incidentally, this conference also threw considerable light on the various avenues open to practitioners of dance besides the regularly expected performance circuit. On a lighter note, what is your favorite traditional South Indian dish?